How many of you have an Evacuation Procedure? How many of you display this to the children in your setting in a way that they can understand? 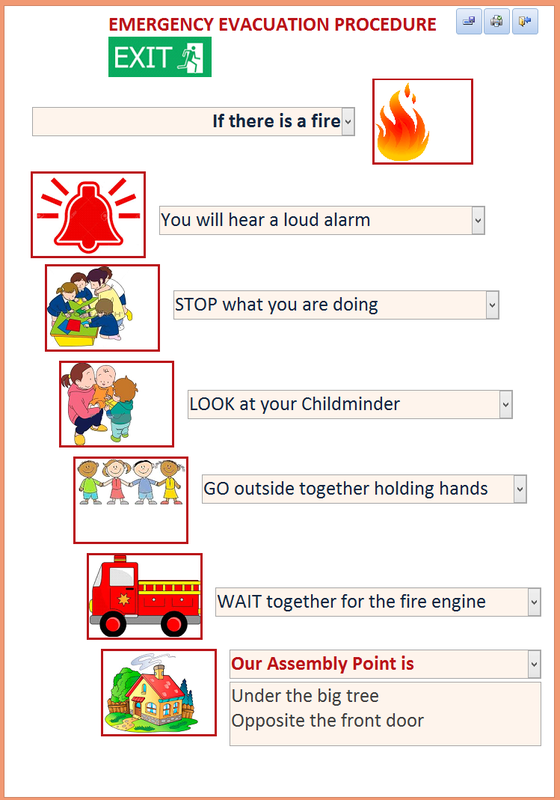 You can now produce an EVACUATION POSTER using the database. You can use your own photos of the children in your care, as well as a picture of your own Meeting Point, so it is all relevant to your children. You could even plan a trip to the local fire station, to take a picture of the fire engine, to use on your poster!!! 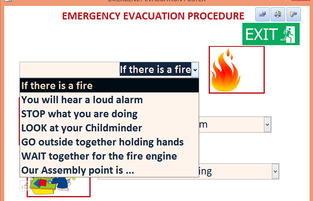 All of the boxes can be edited, so you can enter in your own steps- which may already be familiar to your children.